Text-only follows the graphic below. 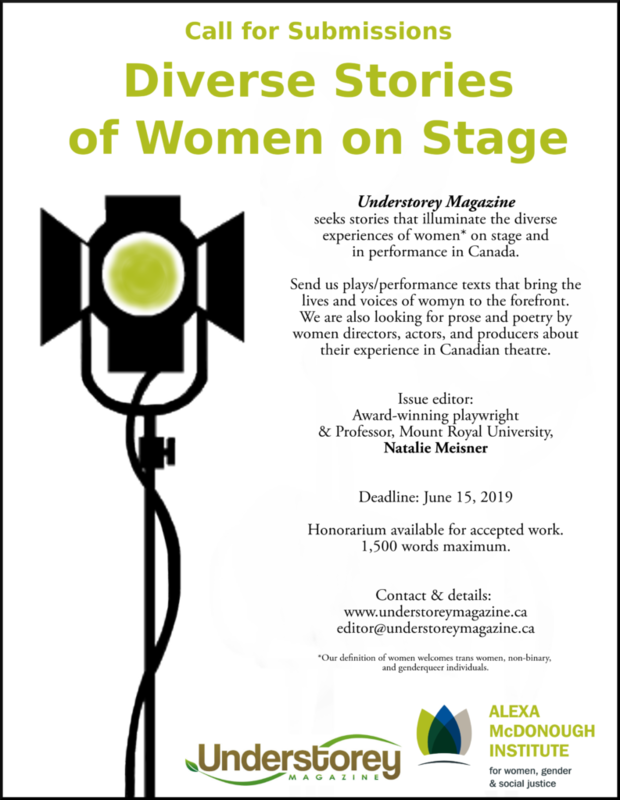 Understorey Magazine seeks stories that illuminate the diverse experiences of women* on stage and in performance in Canada. Send us plays/performance texts that bring the lives and voices of womyn to the forefront. We are also looking for prose and poetry by women directors, actors, and producers about their experience in Canadian theatre. Honorarium available for accepted work. See full submission guidelines here. *Our definition of women welcomes trans women, non-binary, and genderqueer individuals.